There are some real gems to visit in north Devon, beautiful villages, long swathes of sandy beach and great views everywhere. 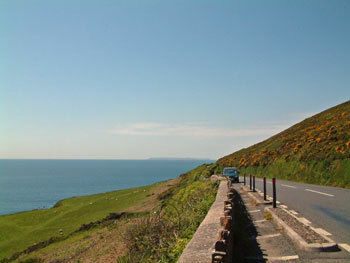 Enjoy a round of golf on one the links courses, go wind surfing or just surfing at the seaside in north Devon. North Devon beaches offer excellent waves for surfing and holidaymakers will see surf schools and equipment displayed in popular seaside locations such as Croyde. The winds are stronger in north Devon which is great for a surfing holiday and flying kites but perhaps not as good for sunbathing. A windbreak will help shelter and create a sun-trap on the beach. Great cottage holidays in Devon.